Angel/Fairy Wing Earrings. 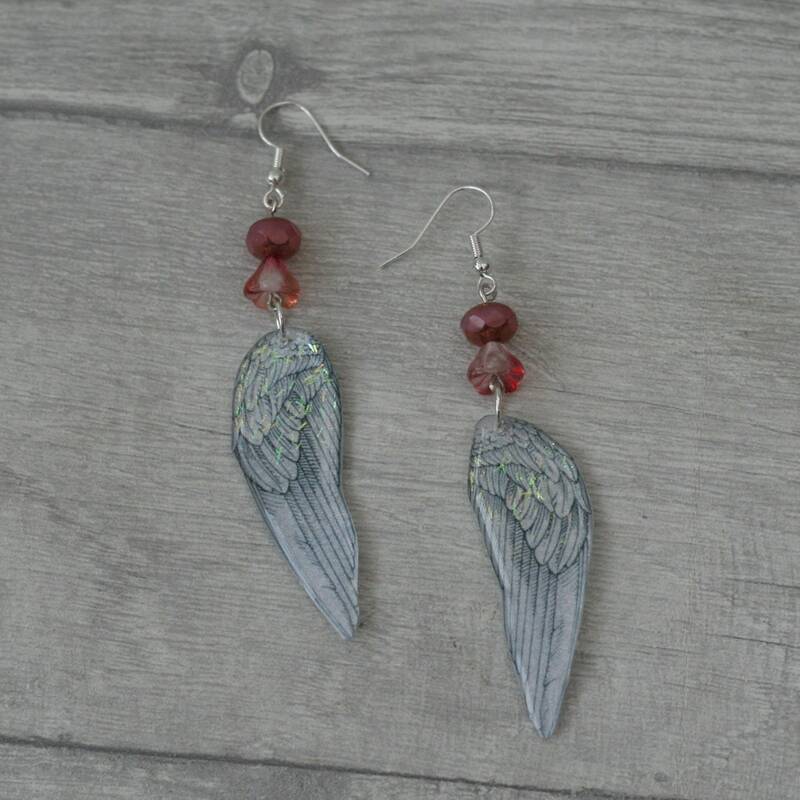 These earrings have been made by adding pink beads to resin wings (they look real, I promise they're not). Silver plated ear wires have been added to complete the earrings. • These earrings very lightweight to wear and would suit any wing loving individual.